Im surprised one isnt available. Have you reached out to them? especially with that bracket failure, maybe they will just comp you one. Your PCV map would only be good for the open loop if you disconnect the wideband. No wideband and the stock ECU would be shooting for a 14.7 AFR in the closed loop. 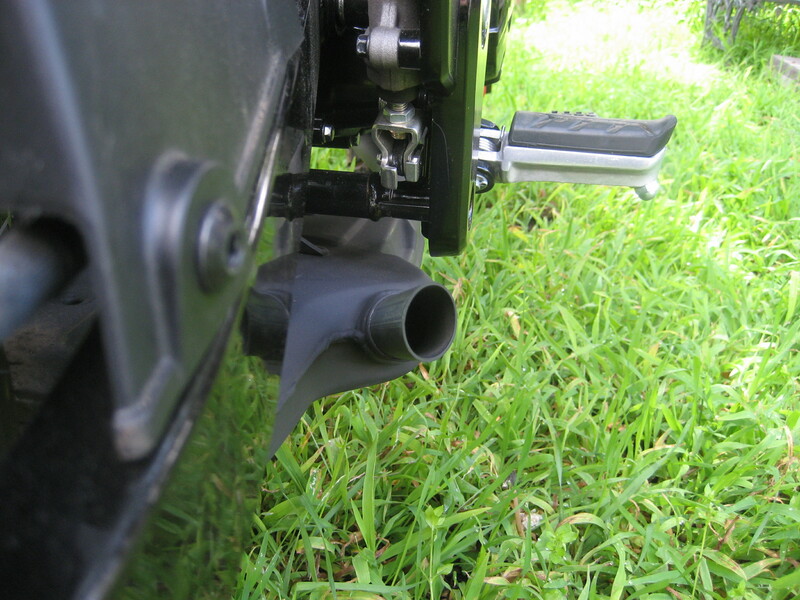 Get a new bung welded to the stock exhaust and let wideband continue to control your closed loop. Oh wait you have a flashed ECU don't you, scratch my last post then...cause I don't know, lol. If you want to go back, I highly recommend this free stock exhaust mod. The sound is just deeper and a tad bit louder than with the muffler. I'm not sure how much performance I gave up as the engine runs really good this way. The exhaust is also about one third lighter without that big heavy ugly muffler. 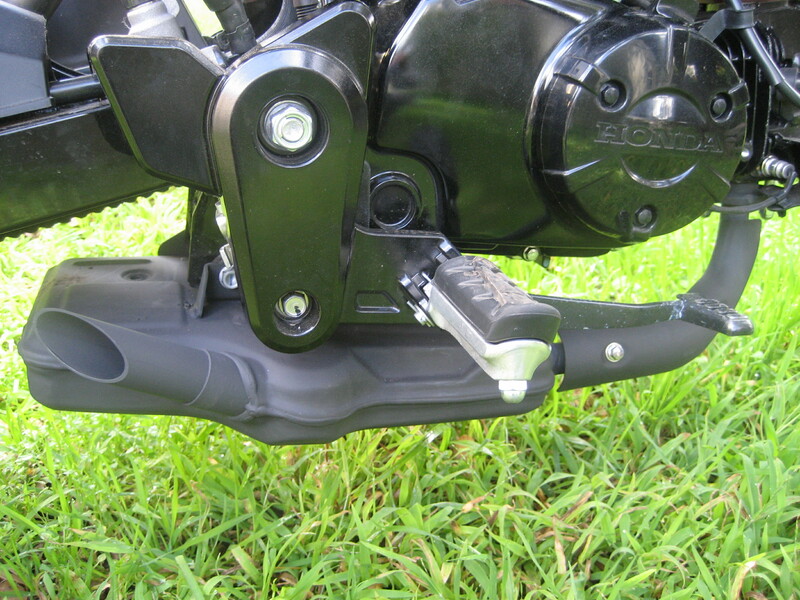 It's all tucked away under the bike and nothing sticks out. You could just get a metal strap to replace the broken mount. When you get time would you mind posting a couple of pics of your exhaust ? Yes, just the cat. It's amazing just how quiet it is. I don't know why Honda even put a muffler on it. 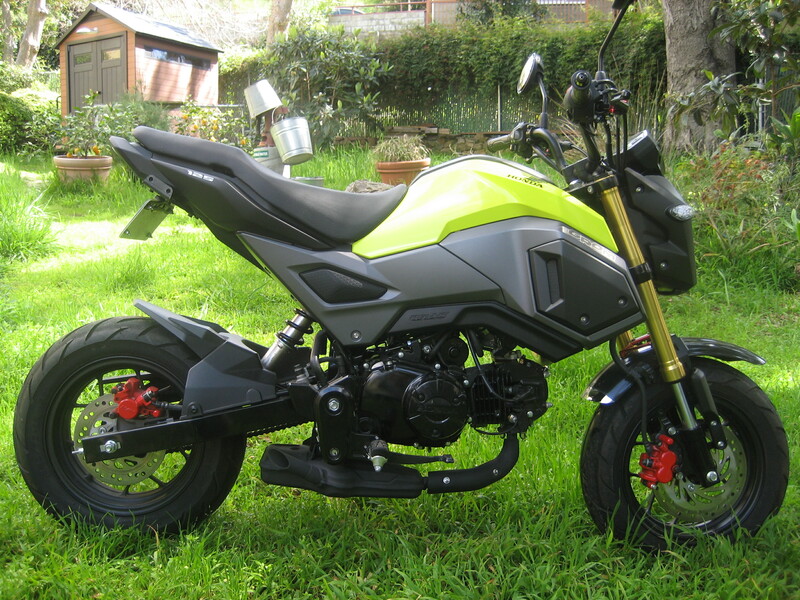 (lol) I bet a new cat will fit on an old Grom, and I'll bet a lot of SF guys even throw their stock exhaust away! I'm making a proper tail pipe for it right now and am going to do some longer term testing just to see how the gas mileage compares to the TOCE. With the warmer weather the gas mileage has been getting really good, with a record high of 146 mpg and an average of 138 mpg. Last edited by tooter; 03-25-2019 at 11:39 PM. What I like to see on that setup is to remove the pipe from the exhaust port to the CAT and install a larger I/D pipe sort of what Finbro has for their set up just to help increase the flow of the exhaust to the CAT, or DIY a larger pipe and add a bung for future use. You can put the stock muffler on and run a aftermarket header. I have seen some with and with out the o2 bung. TB Parts 186bbk, DHM big valve ported head, TB Cam, Chimera intake, Two Brothers Tarmac exhaust, PCV / WB2, Seat Concepts, DRO Speedo healer, DID O ring chain, 16/34 gearing.